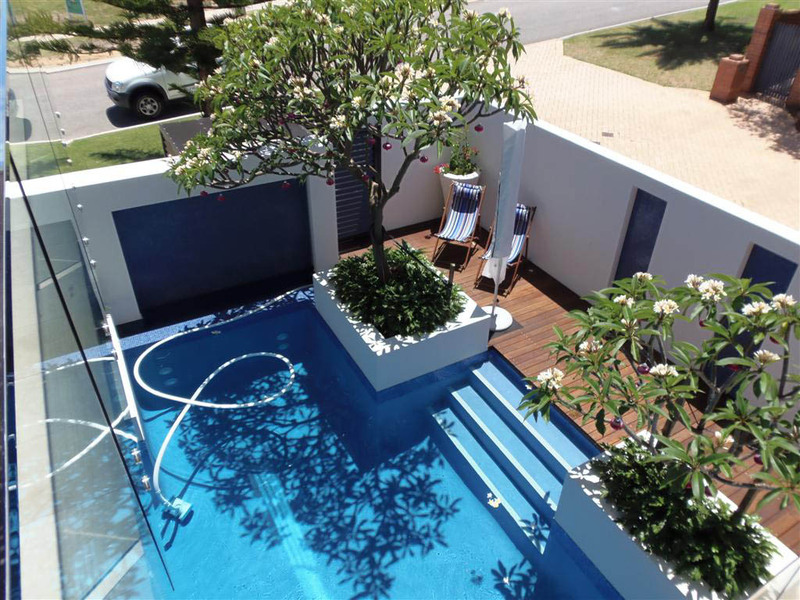 Concrete pools perth and spas are proven to stand the test of time. Their durability and versatility give them the advantage of placement in any location and they can be made into any shape desired. 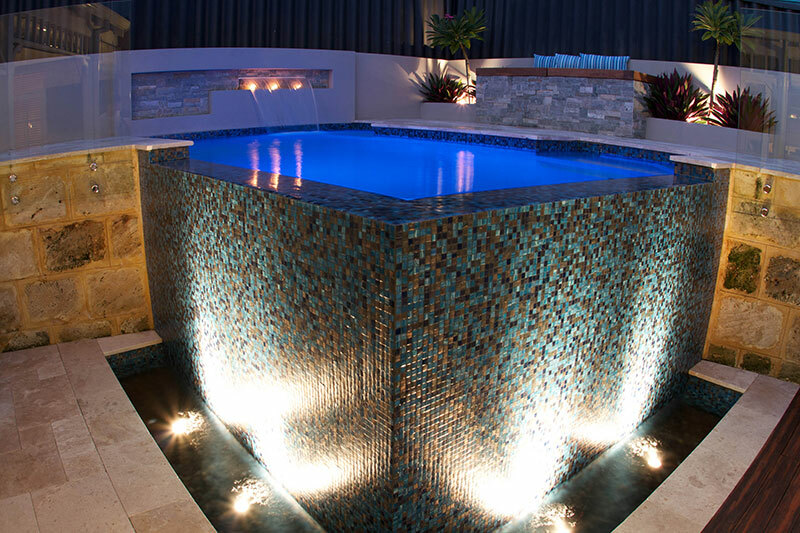 Westralia use high quality materials and finishes for all of our pools and spas Perth wide. The use of 200mm x 200mm waterline tiles or mosaics provides a superior finish and designer look. 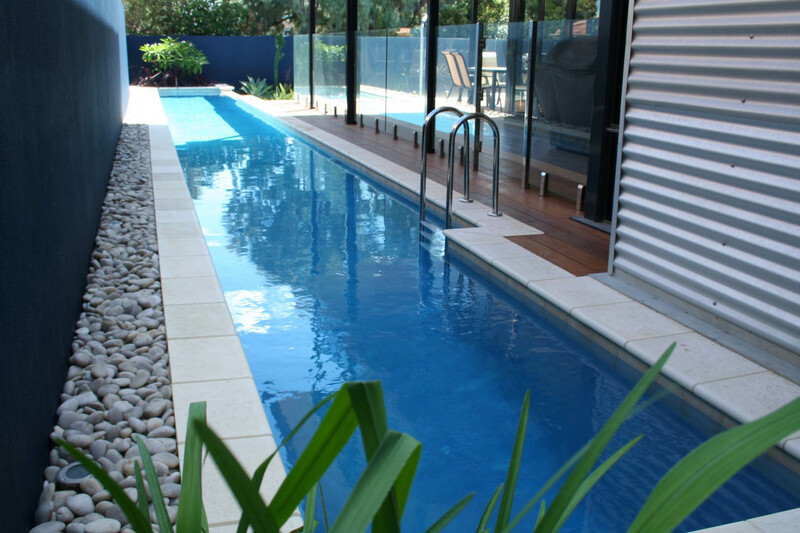 Colour quartz is used to plaster the concrete pools, providing a radiant, long lasting finish to your pool interior. Our filtration systems and equipment are of the highest standard to ensure smooth operation and crystal clear water for a hassle free, beautiful swimming pool. There are many new sanitisation, filtration and cleaning products made available each year for pools in Perth, W.A. Westralia filters through all of these innovations to ensure we only bring you the best. We can offer pool heating systems including gas, electric heat pump, solar and blankets so that you are swimming for longer and getting more out of your concrete pool and spa. Westralia can provide a total outdoor package. Our skilled team cover all aspects of exterior construction including paving, tiling, stonework and brick construction including planter boxes. Hideaway blanket boxes and glass pool fencing create a classy finish to your swimming pool area. We can organise council approval and engineer’s details for your pool and pool fencing for a hassle free construction process. Building a new home? Westralia can liaise with your builder or achitect to help design and construct your concrete swimming pool that will complement your new home and add value to your property. Westralia work closely with many of Perth’s leading home builders to ensure the design and construction process flows with your home builder’s requirements. We do not have sales staff or project managers. The owner Neil Hall will personally conduct the initial site visit and can discuss your options and provide ideas that he has developed over the past 22 years in the industry. Neil will be on-site at every stage of the construction process to ensure attention to detail and open communication. Neil prides himself on Westralia’ quality workmanship and personally guarantees customer satisfaction for all of our swimming pools. We only build a select number of pools each year so we can provide you with personal service. Exclusive customer portal with all the information regarding pool selection choices, supplier information, information brochures for pool equipment, construction schedule and pool maintenance info. 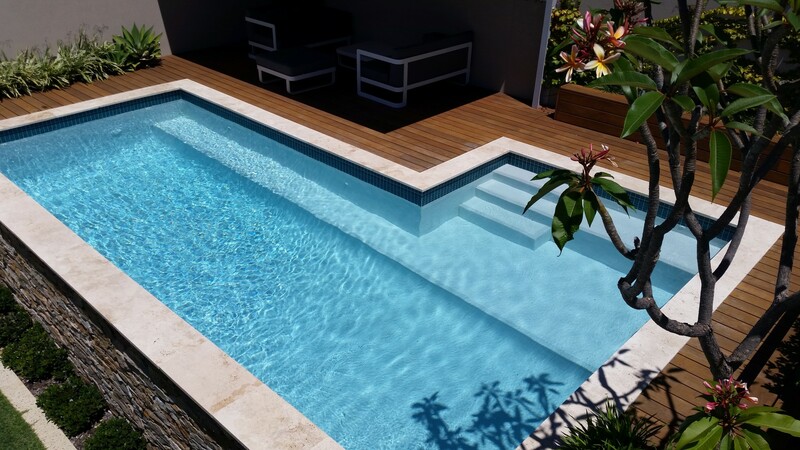 Call Westralia on 9307-1024 to discuss your pool requirements or to request a site visit. You can also email us your site plans and pool specifications and we can provide you with a detailed quotation. Contact Westralia now for a concrete swimming pool quote.